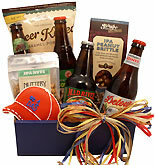 Father's Day Beer Gifts & Baskets | Gifts Dad will Love! 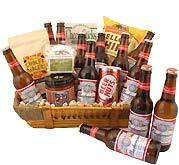 Beer Gifts Dad will Love! 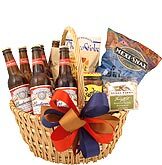 Father’s Day is one of the most important family holidays of the year, and everyone wants their fathers to know just how special they are by showering them with gifts. 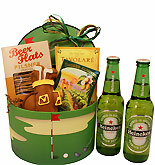 Unfortunately, when it comes to giving Father’s Day gifts, many of us are clueless as to what dad, needs or already has. 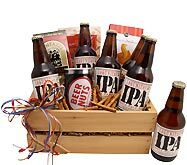 This dilemma has caused an overabundance of unneeded neckties and wallets being wrapped up as presents, but if you want to have a real impact, consider Father's Day beer gifts or Father's Day beer baskets from BeerGifts.com. 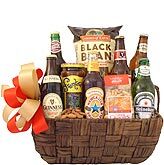 Although historians believe that Father’s Day was first established by the ancient Babylonians 4,000 years ago, it has only been celebrated in the United States for the last 100 years. 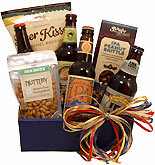 Sonora Smart Dodd of Spokane, Washington, is credited with founding our modern Father’s Day on June 19, 1910. Dodd is said to have come up with the idea at the age of 27 while listening to a Mother’s Day sermon in 1909. It only seemed natural to her that if we celebrated mothers, then we should also set aside a special day to celebrate fathers. This occurred to her because she lost her mother when she was only 16, and her father raised six children alone. Ms. Dodd promoted her idea in much the same way that Anna Jarvis did to make Mother’s Day a holiday. She soon garnered the support of the YMCA and the Spokane Ministerial Association, and it spread like wildfire across the U.S. and throughout the world. In 1916, Woodrow Wilson showed his support for the holiday, and Calvin Coolidge followed suit in 1924. However, Father’s Day would not be officially recognized until President Lyndon Johnson signed a one-time proclamation in 1966. Finally, in 1972, President Richard Nixon made Father’s Day a permanent national holiday to be held the third Sunday of June. 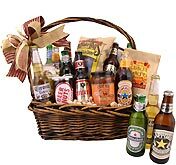 If your father already has everything, the best gift you can give is one that does not last forever but brings a burst of momentary joy, precipitating feelings of appreciation that last throughout the year. 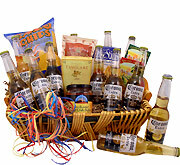 A few products that fit this bill perfectly are the Father's Day beer gifts and Father's Day beer baskets available at BeerGifts.com. 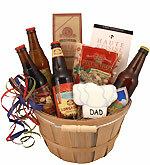 We offer a wide variety of beer gifts for fathers of all types. 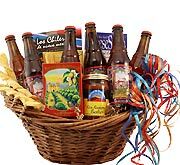 Our gift baskets include several bottles of delicious beer from the top craft breweries in the country, and they can be purchased in several sizes and at a range of price points. 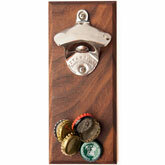 However, if you believe your father would like beer accessories, we have plenty from which to choose. 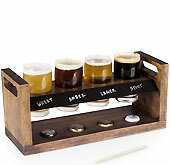 A set of Refresh beer steins from Spiegelau is a popular gift, but we also stock Bavarian beer glass sets and wooden six-pack carriers. 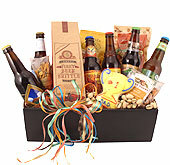 However, if you want a gift that keeps on giving, we urge you to consider our Beer of the Month Club. The sun is blazing. The waves are high. You have a board under your feet or sand between your toes. Eye candy wanders along the shore in every direction. 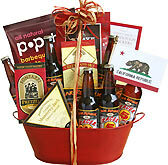 There's only one thing missing, and that's a bottle of refreshing Big Wave Golden Ale. 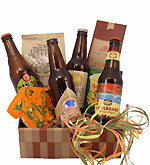 The Brewers from the Kona Brewing Company used the beach lifestyle as inspiration for this light-bodied Golden Ale. It's their version of a laid-back beer suitable for high-vibe days that involve snorkeling, surfing or simply hanging in the sand with good company. When you're ready to hang ten, don't forget the Big Wave. How do you craft a smooth, perfectly balanced beer that easily becomes a summertime staple for households across the United States? If you're the experts at Kona Brewing, you start out with Caramel and Premium Two-Row Pale malts. This gives the beer the smoothness expected from a summer brew along with a backbone of tender sweetness. You then give every sip a bold, slightly bitter ending by tossing in tropical hops like Citra and Galaxy. Add pure spring water and quality yeast, and you have a beach bum brew that beer enthusiasts will rave about from sun up to sun down. While Rock Point Session is an India Pale Ale with the rich hop bitterness that you would expect from the style, it still goes down smooth. If you go wild for hops but are in the mood for a beer that you can drink while enjoying good company and focusing on your surrounding environment, this is the easy-drinking IPA that might hit the spot. Like most ales from the Mendocino Brewing Company, it's best to enjoy this beer at about 60 degrees Fahrenheit rather than straight from the fridge. The more you chill the beer, the more flavor you're going to lose. 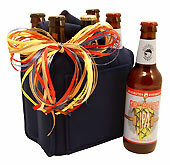 Rock Point Session IPA is only available by draft or in a six pack of bottles. Each batch is crafted with Amarillo, Columbus and Simcoe hops, and those are the dominant ingredients in the bold aroma. The flavor delivers a heavy punch of citrusy hops backed by a subtle sweetness from the blend of Caragold, Wheat, Pale and Carapils malts. With an ABV under 5 percent, this is the type of beer that encourages a little day drinking. Get your hop fix without falling off the bar stool or stumbling through your day. It's the every day IPA for hop heads. Take a classic German-style pilsner and give it the good ol' Sierra Nevada twist. You'll end up with a crisp brew called Nooner Pilsner. This is the brew that you reach for when the good times just can't wait until the end of the day, and they definitely can't wait for the weekend. While it's always five o'clock somewhere, there's no reason to make your taste buds wait. This brew is loaded with Acidulated, Pilsner, Munich and Two-Row Pale malts as well as Strisselspalt, Saphir and Tettnanger hops. German Perle hops are added just to ensure the sweet malts give way to something bitter. When you pour yourself a Nooner, expect a deep golden glow topped by a decent crown of bubbly white foam. 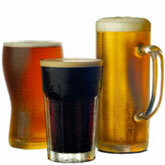 That foam clings to your glass, creating just enough lacing to keep your interest. The grassy aroma will greet your nose first, but the malts are quick to follow with a touch of sweetness. That's a fair representation of what you should expect from the flavor. It's a well-balanced product of citrus, floral and cracker notes that allow every taste to go down smooth. With light carbonation, this is the perfect beer for a relaxing afternoon. Watermelon Lime Ale from the New Belgium Brewing Company starts out like many other summer beers. 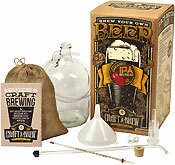 Ale yeast is combined with Nugget hops and a combination of Caramel-80 and Pale malts. The Brewers than add two ingredients that turn this seasonal brew into a treat for your taste buds: watermelon and lime peel. If there's anything that may remind you of summertime, it's a slice of juicy watermelon. That ingredient is what hits your nose first when open a bottle of Watermelon Lime Ale, so make sure to pack it up for every picnic and load up the coolers for every backyard barbecue. While the watermelon is what you'll notice first when opening this beer, you may also detect hints of strawberry, lime and cucumber. Allow it to fill your glass, and it will reward you with a light head of pristine white foam. The color may rival the sun on a bright day, but the golden liquid is occasionally greeted by a floating particle or two. The flavor allows a light sweetness to mingle with slight sour notes, and you'll end each sip feeling a little more refreshed. This isn't a bitter beer, and the ABV is kept to 5 percent, so you can kick back and enjoy more than one when it's time for summer fun. Summertime Kolsch from the Goose Island Beer Company will go perfectly with your flip flops, your favorite bathing suit, and your best picnic outfit. 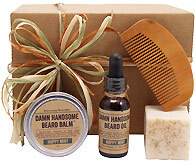 Allow it to accentuate your favorite summer dress or highlight the fun in your worn-out board shorts. When you're ready to slip into something light and breezy, this seasonal Session Ale will bring the sunshine to your taste buds. It starts with a fruit-drenched aroma and ends with a lingering touch of spice, which comes from the blend of Saaz and Mt. Hood hops with Wheat and Two-Row malts. From the burst of carbonated bubbles to the satisfying rise of the white foam, Summertime Kolsch is a German-inspired sunny day delight. While this light brew fills your glass with sunshine-yellow liquid that can instantly lighten the mood on a heavy day, it's best served when you need something light and refreshing. Pack it up for a lakeside lunch and brew. Tote it to the beach and enjoy after catching the waves. Or just keep it in the fridge to celebrate the end of a long day. If you prefer to keep your alcohol content low without sacrificing flavor, look for Farmhouse Summer Ale from mid-April to late August. The Flying Fish Brewing Company releases this seasonal beer on April 15 each year and brings distribution to an end around September 1. The brew offers an ABV of less than 5 percent, so you can keep the bottles flowing without overdoing it on the first few sips. Summerhouse is available in bottles, cans, and kegs, so treat your friends at your next big party or keep it in the fridge to put a cap on a long day. 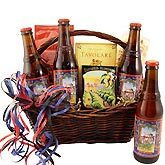 Farmhouse Summer Ale is an easy-going beer that you don't have to limit to late-night indulgences. 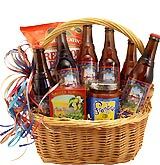 You can enjoy a few cans while relaxing on the beach or open a bottle while sitting on your front porch on a warm summer night. 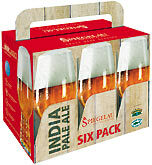 The beer is made from 7 percent wheat, which produces a satisfying mound of creamy foam when poured into a glass. The Brewers balanced the brew out by combining Belgian Two-Row Pale, CaraFoam, White Wheat and Acidulated malts with Styrian Goldings and Columbus hops. 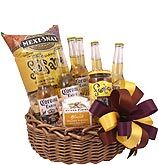 With Chico yeast and light filtration, they created just enough spice to make your summer more interesting. Fresh-squeezed orange juice for breakfast. A refreshing mimosa or screwdriver at happy hour. If these orange-inspired drinks get you excited, Sidecar Pale Ale from the Sierra Nevada Brewing Company will lift your spirits. Each sip offers a burst of orange flavor, created by the addition of fresh orange peel to the brewing kettle. To ensure the orange flavors and aromas carry through to the final product, the brewers also add orange peel to the fermentation process. The Sidecar recipe also calls for Mandarina, Equinox and Cascade hops with Magnum hops added for their bitter quality. Munich, Two-Row Pale, and Honey malts are added to create just a hint of sweetness, gently balancing out those bittering hops. The result is an orange-flavored beer with enough bitterness to please the most enthusiastic hop lover. With an ABV of just 5.3 percent, this is the type of beer that you can enjoy with a light dinner or when celebrating with good friends. Serve it with Crème Brulee or a fresh fruit salad for dessert. Or just consider it your orange juice first thing in the morning. Anything goes with a bottle of crisp Sidecar Pale Ale.